Designation: Assistant Professor & Clinical Coordinator, School of Nursing at Clemson University. Research Interest: Pediatric Growth & Development, Neonatal Abstinence Syndrome, Autism Spectrum Disorders, Pediatric Obesity, Breastfeeding, Epigenetics, Genetics. Biography: Dr. Heide S Temples is Assistant Professor & Clinical Coordinator, School of Nursing, Clemson University, Clemson, South Carolina, USA. She completed her PhD, Healthcare Genetics at Clemson University in August 2014, MSN (Pediatric Nurse Practitioner) at University of Texas at Arlington in May 1993 and BSN at Michigan State University in June 1986. She worked as Instructor & Clinical Coordinator, School of Nursing, Clemson University, Clemson, South Carolina (January 2013-September 2014), Pediatric Primary Care Nurse Practitioner, Blue Ridge Pediatrics, Seneca, South Carolina (2011-present), Graduate Teaching Assistant, School of Nursing, Clemson University, Clemson, South Carolina (December 2009 - August 2010), etc. National Institutes of Health (NIH), R21 Submission PA-18-354. Co-PI. Healthy Habits: Timing for Developing Sustainable Health Behaviors in Children and Adolescents. Grant ID # 317036. DUNS # 0426298160000, $406,787, submitted June 15, 2018. Patient-Centered Outcomes Research Institute (PCORI) Submission, Co-PI. Engaging families having experienced perinatal substance exposure: Exemplar of engaging stigmatized populations. Proposal #2018001748, $249,062, submitted April 2018. Impact Seed Grant, College of Behavioral, Social and Health Sciences, Clemson University. Incidence of Poly-Substance Use in the Prenatal Period and Newborn Outcomes. $41,064.00 submitted March 14, 2018, not funded. Evelyn Mundy Memorial Faculty Endowment Award, School of Nursing, Clemson University, $15,000 funded, June 2017. Impact Seed Grant, College of Behavioral, Social and Health Sciences, Clemson University. Epigenetic Mechanisms Associated with Nutrition and Weight Gain in Childhood Obesity, $38,906 submitted April 14, 2017, not funded (2017). Borroughs Wellcome Fund, Collaborative Research Travel Grant (CRTG), $15,000 submitted January 31, 2017, not funded (2017). National Institutes of Health (NIH), R21 Submission PA-14-176. PD-PI. Influence of Overparenting on Health Outcomes among Low SES Middle School Youth. Grants.gov Tracking Number: GRANT12193263 DUNS Number: 0426298160000 $406,310 submitted June 15, 2016, not funded (2016). Greenville Health System (GHS) pilot study grant submission. Co-PI. Do facilitated peer support sessions among interdisciplinary PICU or NICU health care providers have an impact on burnout and grief management? $17,952, submitted on 5/5/2015, not funded (2015). Greenville Women Giving grant submission. Co-PI. Effects of a Parental Behavior Modification Program on Maternal and Infant Health Outcomes. $100,000, second place, not funded (2014). Head Start & Early Head Start grant submission, Health and Human Services. Co-PI. Funding Opportunity Number HHS-2014-ACF-OHS-CH-R04-0693 $629,000, submitted on 10/22/13, not funded (2013). Mary Lohr Faculty Endowment Award, School of Nursing, Clemson University, Clemson, SC. Funded (2012-2013). Temples, HS. (2018, April). Epigenetics. Invited presentation, Health Care Genetics Program, Clemson University, Clemson, South Carolina. Drum, L., Wright, M., Temples, H. (2018). The Importance of Maternal Inclusion When Treating Neonatal Abstinence Syndrome (NAS): A Literature Review. Poster presentation at National Students Nurses’ Association 66th Annual Convention, Nashville, Tennessee. Drum, L., Wright, M., Temples, H. (2018, April). The Importance of Maternal Inclusion When Treating Neonatal Abstinence Syndrome (NAS): A Literature Review. Poster presentation at Clemson University 13th Annual Focus on Creative Inquiry Forum, Clemson, South Carolina. Drum L, Temples H, Wright M. (2017, November 3). Website Development for MAiN Treatment Model for Neonatal Abstinence Syndrome. Poster presentation at the Regional Perinatal Substance Exposure Summit, AB Tech Conference Center, Mission Children’s Hospital, Asheville, North Carolina. Temples HS, Craig, J. (2017, July 5). The Selection of Candidate Genes Associated with Breastfeeding and Growth of Children in PETS. Podium presentation at the Murdoch Childrens Research Institute, Melbourne, Australia. DiMucci-Ward J, Temples, HS. (2017). Utilizing Infant Growth to Predict the Incidence of Obesity in Early Childhood. Poster presentation at the Graduate Research & Discovery Symposium, Clemson University, University Center Greenville, Greenville, South Carolina. DiMucci-Ward J, Temples, HS. (2017). Utilizing Infant Growth to Predict the Incidence of Obesity in Early Childhood Poster presentation at the Focus on Science Symposium, Healthcare Genetics Program, Clemson University, University Center Greenville, Greenville, South Carolina. Temples HS, Craig, J. (2017). DNA Methylation of a Novel Gene Associated With Duration Of Breastfeeding and Growth of 18 Month Old Children In The Peri /Postnatal Epigenetics Twin Study (PETS). Poster presentation at the Focus on Science Symposium, Healthcare Genetics Program, Clemson University, University Center Greenville, Greenville, South Carolina. Temples HS. (2017). Experiences at Summer Genetics Institute. Podium presentation at the Focus on Science Symposium, Healthcare Genetics Program, Clemson University, University Center Greenville, Greenville, South Carolina. Drum L, Temples HS. (2017). Neonatal Abstinence Syndrome. Poster presentation at the Focus on Creative Inquiry, 12th Annual Poster Forum, Clemson University, Clemson, South Carolina. Podium presentation at the National Association of Pediatric Nurse Practitioners (NAPNAP) National Conference. Denver, Colorado. “The Growth of Children and Epigenetic Marks Associated with a Longer Duration of Breastfeeding” (2017). Podium presentation at the Greenville Health System (GHS) Nurse Research Council. Greenville, South Carolina. “Weight Gain Associated with Medications for Treatment of Autism Spectrum Disorders” (2017). Podium presentation at the International Society of Nurses in Genetics (ISONG) World Congress. Dublin, Ireland. “DNA Methylation Of Genes Associated With Duration Of Breastfeeding and Growth of 18 Month Old Children In The Peri /Postnatal Epigenetics Twin Study (PETS)” (2016). Podium presentation at the International Society of Nurses in Genetics (ISONG) World Congress. Pittsburgh, PA. “The Methylation of Regulatory Loci within the Leptin Promoter and the Growth of Children with Various Durations of Breast Milk” (2015). Podium presentation at the Murdoch Childrens Research Institute, Melbourne, Australia. “The Impact of Breast Feeding On the Growth of 18 Month Old Children in the PETS” (2015). Poster presentation at the International Society of Nurses in Genetics (ISONG), conference. Scottsdale, AZ. “Breastfeeding and Growth of Children In The Peri/Postnatal Epigenetic Twins Study (PETS): Theoretical Epigenetic Mechanisms” (2014). Poster presentation at the Developmental Origins of Health and Disease (DOHaD), 8th World Congress on Developmental Origins of Health & Disease, Singapore. “Impact of Breast Milk on Obesity: Possible Epigenetic Mechanism Influencing Metabolic Programming” (2013). Poster presentation at the College of Health Education & Human Development, Spring Forum, Clemson University, Clemson, SC. “Impact of Breast Milk on Obesity: Possible Epigenetic Mechanism Influencing Metabolic Programming (2013). Podium presentation at the International Society of Nurses in Genetics (ISONG), conference. Bethesda, MA. “Impact of Breast Milk on Obesity: Possible Epigenetic Mechanism Influencing Metabolic Programming” (2013). Podium presentation at the Tenth Annual Research Symposium: Evidence Based Practice, Stepping Stones to Excellence, Upstate AHEC, Nursing education conference, Greenville, SC. “The Epigenetic Influence of Human Milk on Obesity” (2012). Poster presentation at The Contribution of Epigenetics in Pediatric Environmental Health 2012 Research Conference, San Francisco, CA “The Epigenetic Effects of Human Milk on Obesity” (2012). Poster presentation at the AnMed Health National Nurses Week Research Showcase Anderson, SC. “The Epigenetic Effects of Human Milk on Obesity” (2012). Podium presentation at the School of Nursing, Faculty Development Day Clemson University, Clemson, SC. “Human Milk and Obesity” (2012). Poster presentation at the College of Health, Education and Human Development (HEHD) Research Forum, Clemson University, Clemson, SC. “The Epigenetic Effects of Human Milk on Obesity” (2012). Podium presentation at the International Society of Nurses in Genetics (ISONG) Conference, Montreal, Canada. “The Clinical Effects of Diet and Nutrition in the 1st Six Months of Life on Body Mass Index (BMI): The Theoretical Effects from Metabolic Imprinting” (2011). Guest speaker for the School of Nursing graduate course NURS 8010 Clemson University, Clemson SC “Genetic Screening” (2011). Poster presentation at the College of Health, Education and Human Development (HEHD) Research Forum, Clemson University, Clemson, SC. “The Clinical Effects of Diet and Nutrition in the 1st Six Months of Life on Body Mass Index (BMI): The Theoretical Effects from Metabolic Imprinting” (2011). Abstract at the Society of Behavioral Medicine. A preliminary test of the family-based weight loss program in African American families. PI: Wilson DK, Epstein LH, Wright M, Brewer B, Williams J, Wall W, Sagan B, Temples HS. January 13th, 2006. Podium presentation at the International Society of Nurses in Genetics (ISONG) Conference, Dallas, TX “Principlism as a guide for genetic testing decisions during family planning” (2010). Pilot study on the Self-determination for weight loss in African American Adolescents. PI: Wilson DK. CI: Temples HS, Griffin S, Parra-Medina D, Slade D. Department of Psychology, USC, Columbia, SC (2005). Podium presentation at the Eau Claire Cooperative Health Center Capitol City Club, Columbia, South Carolina. “Metabolic Syndrome” (2005). Podium presentation at the Columbia College, Columbia, South Carolina “Birth Control Options” (2001). Podium presentation at the Columbia College, Columbia, South Carolina. “The Secret Epidemic: Sexually Transmitted Diseases” (2001). Podium presentation at the National Health Enhancement Systems, Fall Forum Phoenix, Arizona. “Managing Patients After-hours with a Pediatric Nurse Triage Program” (1997). Podium presentation at the T.W. Josey High School, Augusta, Georgia. “Birth Control for Teens” Male/Female Symposium, (1997). Podium presentation at the Medical College of Georgia, School of Medicine, Augusta, Georgia. “Developmental Assessment of the Child: Denver II” (1996). Podium presentation at the Medical College of Georgia, School of Nursing, Augusta, Georgia. “Sexually Transmitted Diseases” (1996). Podium presentation at the Sixth Annual Adolescent Conference in Augusta, Georgia. “Interviewing the Adolescent” (1996). Podium presentation at the Medical College of Georgia, School of Nursing, Augusta, Georgia. “Political Advocacy” (1996). Podium presentation at the Medical College of Georgia, School of Nursing, Augusta, Georgia. “The Role of the Pediatric Nurse Practitioner” (1995). Podium presentation at the East Central Health District, Augusta, Georgia “Adolescent Issues” (1995). Advanced Practice Nursing Issues Conference in Savannah, Georgia. “Getting into Adolescent’s HEADSS” (1994). Girls Incorporated, Augusta, Georgia. “Adolescent Parenting” (1994-1997). Asthmatics support group in Dallas, Texas. “Asthma” (1990). Nursing Care of Children (Traditional Undergraduate & Accelerated Second Degree) (2010-present). Family Nursing II: Child & Adolescent (Graduate) (2010-present). Creative Inquiry: Perinatal Substance Exposure: Neonatal Abstinence Syndrome (2017-present). Independent PhD Study: HSSC Data: Health Sciences South Carolina Data Analysis on Utilizing Infant Growth to Predict the Incidence of Obesity in Early Childhood (2015-present). Independent MSN Study: Clinical Research: Weight Gain Associated with Medications for Treatment of Autism Spectrum Disorders at Greenville Health Systems (2017-present). Independent MSN Study: Pediatric Outcomes in Neonatal Abstinence Syndrome (2018-present). Greenville Health Systems Multidisciplinary Internship: Neonatal Abstinence Syndrome (2018-present). PhD, Adam Coovadia, School of Nursing, Clemson University, 2017 (committee member). MSN, Shannon Greaves, School of Nursing, Clemson University, 2018 (chair). MSN, Angela Newton, School of Nursing, Clemson University, 2018 (chair). MSN, Brynna Rinehart, School of Nursing, Clemson University, 2018 (chair). MSN, Celeste Sitton, School of Nursing, Clemson University, 2018 (chair). PhD, Tracy Lowe, School of Nursing, Clemson University, 2017 (committee member). PhD, JuliSu DiMucci-Ward, School of Nursing, Clemson University, 2017 (committee member). PhD, William Schlief, School of Nursing, Clemson University, 2017 (committee member). MSN, Amber Quist, School of Nursing, Clemson University, 2017 (chair). MSN, Whitney Sewell, School of Nursing, Clemson University, 2017 (chair). MSN, Abby Wittenberg, School of Nursing, Clemson University, 2017 (chair). MSN, Whitney Love, School of Nursing, Clemson University, 2017 (chair). MSN, James Browning, School of Nursing, Clemson University, 2016 (committee member). MSN, Carl Cromer, School of Nursing, Clemson University, 2016 (committee member). MSN, Jessica Melton, School of Nursing, Clemson University, 2016 (chair). MSN, Meredith Underhill, School of Nursing, Clemson University, 2016 (chair). MSN, Carrie Ballenger, School of Nursing, Clemson University, 2015 (chair). MSN, Jessica Crane, School of Nursing, Clemson University, 2015 (chair). MSN, Jennifer Mabry, School of Nursing, Clemson University, 2015 (committee member). MSN, Spencer Maney, School of Nursing, Clemson University, 2015 (committee member). 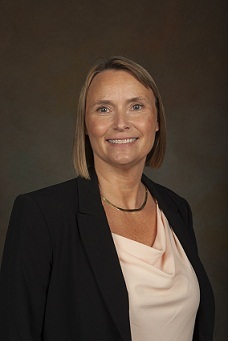 MSN, Jill McCreight, School of Nursing, Clemson University, 2015 (chair). MSN, Nicole Sadowski, School of Nursing, Clemson University, 2014 (committee member). MSN, Francisco Rojo, School of Nursing, Clemson University, 2014 (committee member). MSN, Nancy Richmond, School of Nursing, Clemson University, 2014 (committee member). PhD, Ida Senthil, School of Nursing, Clemson University, 2011 (committee member). National Center for Faculty Development and Diversity, 2018-present. United States Society of Developmental Origins of Health and Disease, 2018-present. International Lactation Consultant Association, 2018-present. Council for the Advancement of Nursing Science, American Academy of Nursing, 2018-present. National Organization of Nurse Practitioner Faculties, 2017 – present. American Association of Colleges of Nursing Graduate Nursing Student Academy, 2013. American Association of Colleges of Nursing, 2013 – present. International Society for Developmental Origins of Health and Disease, 2013 - present. International Council of Nurses, 2012 - present. Healthcare Genetics Society, Clemson University 2011 – 2013. National League of Nursing, 2010 – present. American Academy of Nurse Practitioners, 2011 – present. International Society of Nurses in Genetics, 2010 – present. North American Society for Pediatric and Adolescent Gynecology, 2005 – 2010. American College Health Association, 2003 - 2013. National Association of Pediatric Nurse Associates and Practitioners, 1993 - present. Georgia Nurses Association, 1993 - 1998. Lobbying Coordinator, Prescriptive Authority Coalition, 1995 - 1997. Society for Adolescent Medicine, 1994 - present. American Nurses Association, 1996 - present. Sigma Theta Tau International, Honor Society of Nursing, 1985 - present. 2018 “Top 3” College of Behavioral, Social and Health Sciences Faculty for the February Clemson University Board of Trustees meeting, Clemson University, Clemson, South Carolina. 2017 International Nurses Association Featured in the Worldwide Leaders in Healthcare, Islip, New York. 2017 Evelyn Mundy Memorial Faculty Endowment Award, School of Nursing, College of Health, Education, and Human Development, Clemson University, Clemson, South Carolina. 2017 American Nurses Credentialing Center’s 2017 Certified Nurse Award, Pediatric Primary Care Nurse Practitioner, Silver Spring, Maryland. 2016 Greenville Health System, Institute for Advancement of Health Care Scholar. 2015 Content Expert for the American Nurses Credentialing Center, Pediatric Primary Care Nurse Practitioner Specialty, Silver Spring, Maryland. 2014 Graduate Student Award of Excellence, College of Health, Education, and Human Development, Clemson University, Clemson, South Carolina. 2014 Palmetto Gold Award, Columbia, South Carolina. 2013 Professional Enrichment Grant, Clemson Graduate Student Government, Clemson University, Clemson, South Carolina. 2012 Mary Lohr Faculty Endowment Research Award, School of Nursing, Clemson University Clemson, South Carolina. 2012 South Carolina Deans and Directors of Nursing Education Scholarship, Columbia, South Carolina. 2010 - 2012 South Carolina Nurses Foundation Excellence in Nursing Fellowship, BlueCross BlueShield faculty development scholarship. 1999 Bachelor of Science Nursing Honor Society, Award for contributions to the Nursing in the Community, Aiken, South Carolina. 1996 Nominated Outstanding Nurse Practitioner Role Model Award, Nurse Practitioner World News, Cranbury, New Jersey. 1985 Golden Key National Honor Society, Michigan State University, East Lansing, Michigan. 1986 Commendation from Michigan State University, College of Nursing Student Affairs Committee, Award for outstanding contributions to the community, East Lansing, Michigan. 1982 - 1986 Dean’s List for 9 terms, Michigan State University, East Lansing, Michigan. 1985 Inducted Sigma Theta Tau International Nursing Honor Society, Michigan State University, East Lansing, Michigan. Durham, J, Temples, HS. (2017). Celiac Disease in the Pediatric Population. 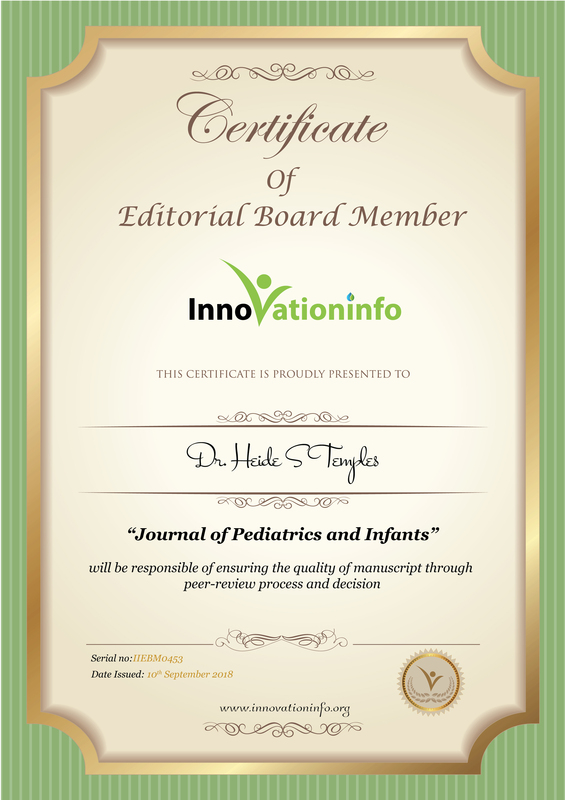 The Journal of Pediatric Health Care. Accepted April 2018, In Press for December 2018 publication. Contreras, R, Temples, HS. (2018). Suicide in Adolescent Years and Guidance for Primary Care Providers. The South Carolina Nurse. Accepted for publication May 2018, In Press for December 2018 publication.